The departure of the sun below the horizon marks the beginning of winter and the Polar Night in Svalbard – Norway’s remote island archipelago in the Arctic Sea. The landscape is filtered by a twilight blue and changing skies – from dense stars to Aurora greens and purples. 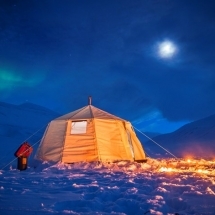 Between the months of October and February, the Polar Night offers a magical time to visit and experience the possibility of the Northern Lights in a destination that is flung more to the North Pole than to Norway itself. 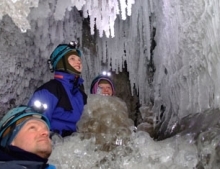 This short break package is available from 31 October to 9 February and can be tailored to suit you or combined with a stay in the mainland in Tromso. Arrival at Svalbard Airport, Longyearbyen and airport shuttle bus to Basecamp Trappers Hotel. 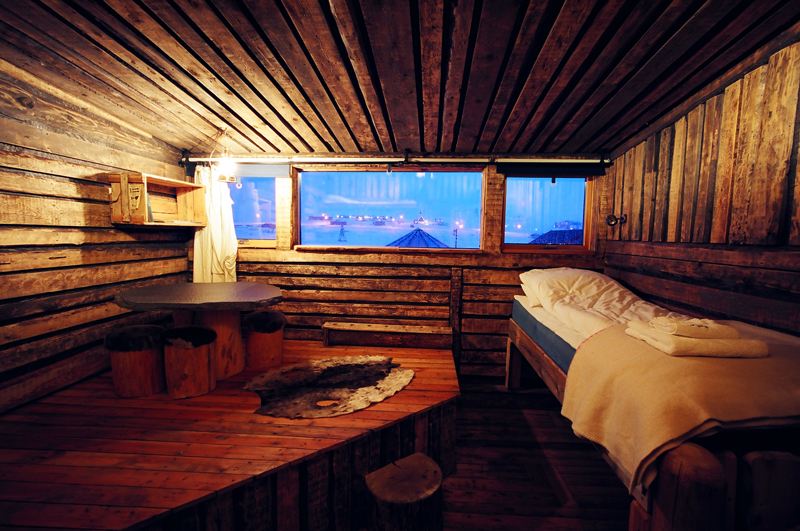 In the afternoon you'll be able to explore the sites of Longyearbyen at leisure with our recommendations. Breakfast at the hotel. Today you will enjoy a dog-sledding trip with a local guide from Spitsbergen transferring firstly to the Basecamp Trappers Station where 80 Alaskan huskies eagerly await to take you out for a sled ride. You will get to know the main tasks of dog sledding, helping to harness the dog team and get ready for the trip. 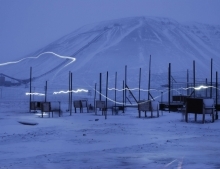 Soon the only sound will be the panting of the dogs and the gliding sled on the snow – an opportunity to witness the tranquillity of the Polar Night the local way. 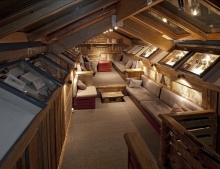 You’ll share a sled between two guests with the chance to switch places. 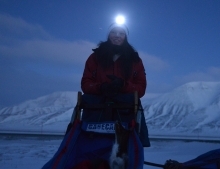 The dog sledding trip will take you across the vast valleys around Longyearbyen enjoying the white landscapes under the dark polar sky and perhaps the Northern Lights blazing above at any given moment. Afterwards you’ll return to the camp and take care of your team of huskies before sitting down by the fire and enjoying some hot drinks and biscuits as you recount the experience with the others. 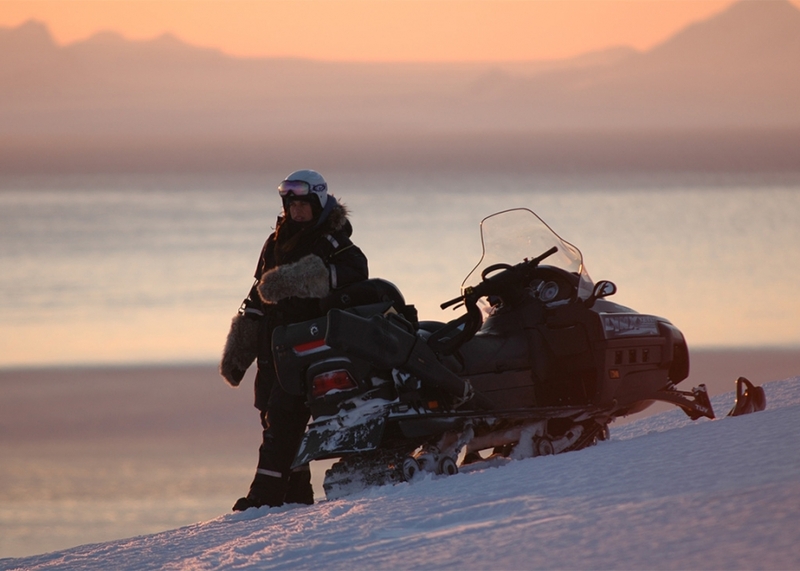 Alternatively if you wish to extend your sledding trip, you can join a full day trip (8h) or overnight expedition which covers more ground. This trip is suitable for those who wish to have more of a challenge and insight to husky dog handling. On this trip you will be driving your own team of dogs through the Arctic tundra. Breakfast at the hotel. 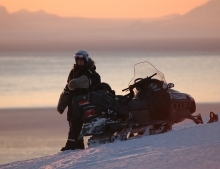 After breakfast you will enjoy an exciting snowmobile safari into the Polar Night. You’ll head up the glacier at Longyearbreen where you’ll have time to admire and photograph Longyearbyen. If you are lucky you might even see the spectacular Aurora Borealis – Spitsbergen is one of the few places where Northern Lights can be viewed during day time. After a short stop you’ll continue through the valley of Fardalen to the plains at Colessletta where wild Svalbard reindeer are often spotted. You’ll head through the valley of Bodalen and Todalen and further to Bolterdalen. The route will be planned according to weather conditions and snow conditions and may differ from the above. You will need a valid driver’s licence to drive the snow mobiles. Rest of the day at leisure. 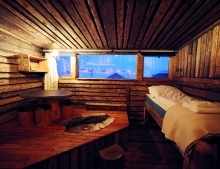 After breakfast you’ll hop on the shuttle bus which will take you back to Longyearbyen airport as you begin your journey home or extend your stay with extra days or a visit to the city of Tromso on the mainland. From £949 per person (excluding flights) based on two people travelling. 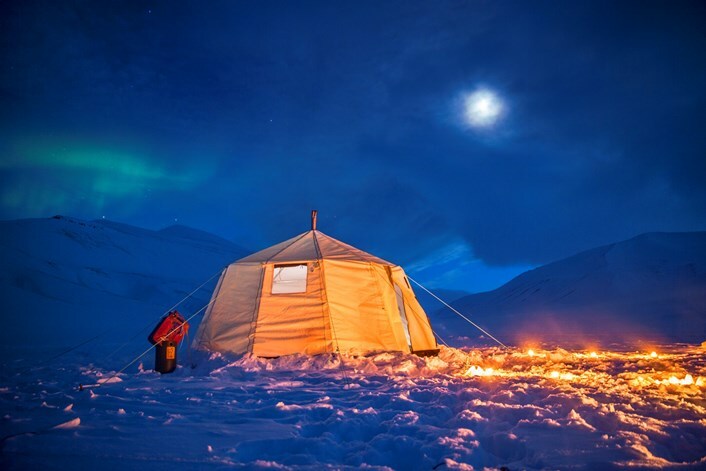 Being so far North, Spitsbergen is the only destination you can view the Northern Lights to the South! 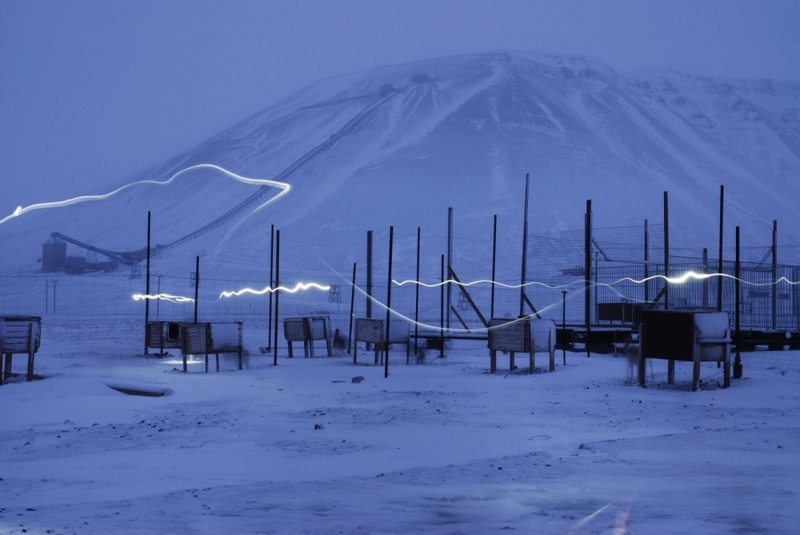 During the Polar Night, you may even view them at 9 in the morning after breakfast. The trip of a life time???? I am so glad i booked my trip with magnetic northern light, i had very short break and i was trying to book a trip the last minute so i sent an enquary and i got a response the second day. Matheo was the agent who helped me, great agent, i had loads of questions that i kept sending ( emails) and he always responds immediatly( very patient i have to say haha). Anyway, i made it to Iceland ???????? 4 nights Aurora hunt and lucky me they appeared for the 4 nights!. My favorite part of the trip was the blue lagoon and Mammamia you dont want to get out of the water :/. 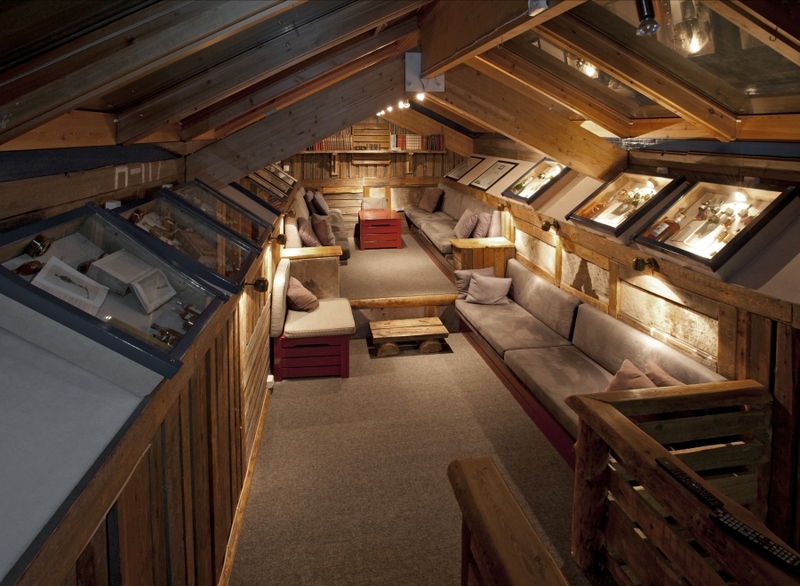 On the 3rd day i booked an optional trip (glacier hiking) which I would highly reccomend ( like its a must!) amazing experience ( im speechless) but the part that i wasn't happy about iit was ;that since i chose an optional trip which coast about 100 € i dont get to see the lava beach which is included in the tour ;( and it was very hard for me to decide between my trip to the beach or booking the hike for the glacier but at the end it was so worth it. Our tour guide Sophia was Super, great, funny, smart lady and everyone loved her. The driver was very cool and friendly too. We stayed 2 nights in reykjavic in Cabin hotel ( very tiny rooms but worked out for me because i had the room for myself) and 2 nights in south Iceland in a really cute cottages which i really liked ( each will have their own small cottage / private toilet). One more thing that I loved is how everything is booked and arranged for you and you get everything you need and each day/trip in detail in the app Vamoos and check in reminders! Its fantastic. Bottom line, book your trip the sooner the better and enjoy yourself. by Rawan, Kuwait on Nov 13 .